Trees, and other decorative plants like bamboo draw in water and nutritional elements using a wide variety of root and rhizome structures that can lift and break sidewalks and roads if left unconfined. Modern root guard (also referred to as "root barrier" or "root guides") products provide effective protection for valuable hardscapes and delicate plantings to prevent costly and nuisance causing damage. There are four main types of root guards which are effective in containing different types of roots. This type of root guard is easy to install and provides protection against tree root intrusion. The material includes vertical guides to promote the downward growth of tree roots and ranges from 30 mil- 60 mil in thickness. Multiple rolls can be joined using sealant tape. 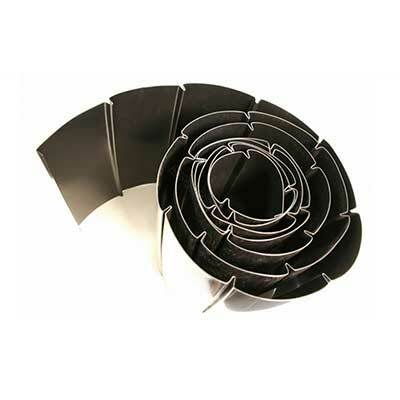 Rolled root guard excels in installations where the material is required to adhere to tight curves made possible by the material's flexible composition. Dig a trench around the tree or wooded area where the roots are growing from. Place the rolled root barrier in the trench with the vertical guides facing the area to be contained. Backfill the trench. Tree root guard panels are constructed of rigid polypropelyne and similar to the rolls, include vertical guides to promote deep tree root growth. 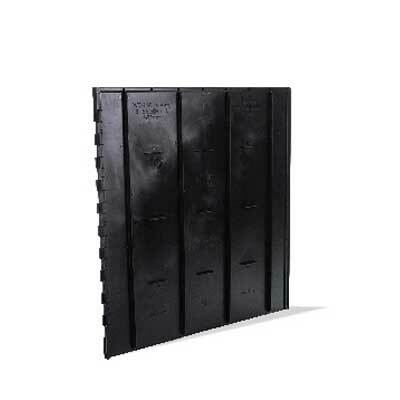 Due to their more rigid nature, panel root barriers are ideal for more demanding root containment situations and typically do a slightly better job a containing persistent tree roots. Panel tree root guards are available in heights ranging from 18" to 48" and include interlocking or slide-in joining pieces. Dig a trench around the root infested area, place the panels in the trench with the ribs facing the root containment area. Connect the panels and backfill. 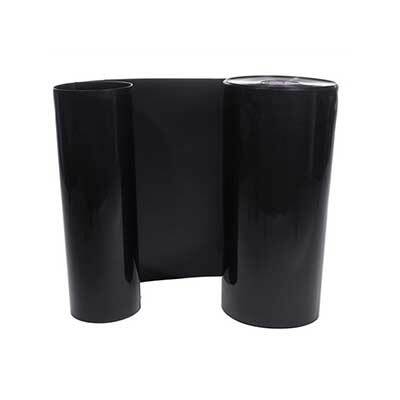 HPDE Root Guard is a very effective material which excels at containing the roots of Bamboo and weeds. It is available in a veriety of different thicknesses ranging from 30 mil to 80 mil and depths ranigng from 18" to 48". When bamboo roots hit the barrier, it's smooth surface sends the roots sideways and down into the ground. Bamboo will occasionally grow towards the surface but can be easily clipped when spotted by the gardener. HPDE root barrier is not recomended for large trees as the materil does not provide vertical ribs to encourage the roots to grow downward. If placed close to the tree the roots may only grow along the surface which can create a lack of stability for the tree. Dig a trench around the bamboo planting area ensuring that the barrier will protrude 2" above the ground's surface. This is to ensure that bamboo rhizome "runners" can be easily spotted and clipped. Place the barrier in the trench and backfill. Because bamboo roots are very aggressive, it is advised that the bamboo planing area is completely encircled by a barrier of 60 mil or thicker. To close the circle overlap the barrier by 4 feet and tape the ends of the barrier with heavy-duty sealant tape. BioBarrier is a root guard solution which includes built-in herbaside nodules designed to discourage tree roots growth upon contact. The barrier is very effective at protecting valuable hardscapes, foundations septic systems and pipes from root intrusion. The material is easy to install and provides a level of protection that goes beyond that of a purely physical root barrier. Dig a trench to the depth of your BioBarrier. 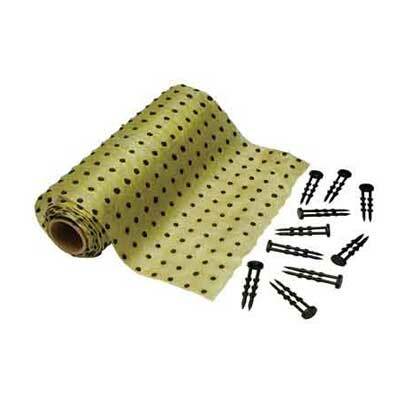 Unroll the barrier and attach it to the edge of the trench with the included pins. Backfilll the trench. BioBarrier can be easily cut and attached to objects such as septic tanks, pipes etc. as well.